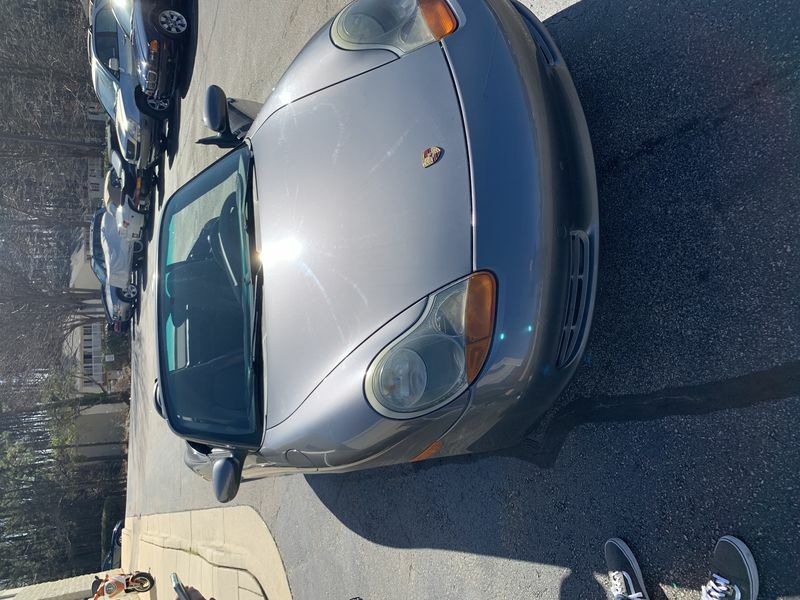 What maintenance would you recommend for a 2002 Porsche boxter with 110,000 miles on it? What is the next recommended service interval? I plan to try to do most service myself. Hi from the friendly folks at 986forum! We love helping each other out here but first, a matter of decorum: post a picture of your car; spell Boxster correctly; let us know what records that you might have received from a previous owner; enjoy your car and welcome to the forum! Sorry about that! I just Uploaded a picture of my Boxster, All I have for records is that it passed every inspection, and seems to have been in for service regularly. The Mechanic I brought the car too says it seems to have been maintained well. The last recorded service was a tire rotation/change/alignment. This should get you in the ballpark. Welcome and safe travels. First thing, change the oil. It is an easy DIY. Don’t go by the long mileage intervals. I change mine yearly (I drive it less than 3000 miles). Yearly is the minimum IMO. +1 on the oil. Once done, consider changing out other fluids as well since you don't know the history. Brake/clutch fluid is a two year r/r and is often neglected. Gear oil and coolant are also due by 100K. Don't fret...drive the car and get to know it. Ask questions and address maintenance items as you see fit. Assuming you don't know the maintenance history of the car, I'd take it to an experienced Porsche water cooled engine mechanic and have him do the equivalent of a PPI. Hook it up to a diagnostic machine and see what gets reported. Have him look at the suspension and brakes. Drive it. Then consider the most comprehensive service recommendation from Porsche which in my case was a 90k service (which I did just to get the car to where I knew what had been done). It included all fluids and a belt. I think I did plugs and coils too. Not cheap but worth it. Alignment. After that, I pretty much maintained it. That gets the car all caught up on the maintenance schedule, but what about the issue of the car possibly not getting proper maintenance for 100k miles? First priority; change oil and filters (oil, and air most important, then perhaps fuel filter) then go down the general list e.g. plugs, coils, brakes, etc. I agree with what others have stated. When I bought my Boxster the owner gave me very thorough service records. Which stated that the car had a service about 2,000 miles before I bought it. And my car has 113,000 miles on it. Granted I work for a dealership, and they give me access to the shop if I ask politely. So I tossed the car up on a rack, changed both engine, and transaxle fluids. Serviced ALL the filters, and changed out the spark plugs. This shed some light to me on the car's history.... Like the air filter was dirty, this told me that the shop performing the oil change was not thorough. And the cabin air filter was 100% plugged and moldy, it might have been the factory CA filter LOL. This just told me that the car had lack luster service. Then of course the cap on it was the previous owner did a clutch and IMS bearing, but ignored the ripped CV boots. Again poor maintenance on the car. I do a complete service of all fluids when I buy a used car. One it resets the service car light in my brain. And two..... you can learn a lot from your car, and the love or lack of it got from it's previous owner.